Thank you, Lord, for my classmates and the enthusiasm we share for making pictures. Three of us clicked and laughed and compared and scratched our heads and then did it all again while standing in front of these beautiful orchids. Our shared passion for making pictures makes the class all the more fun! 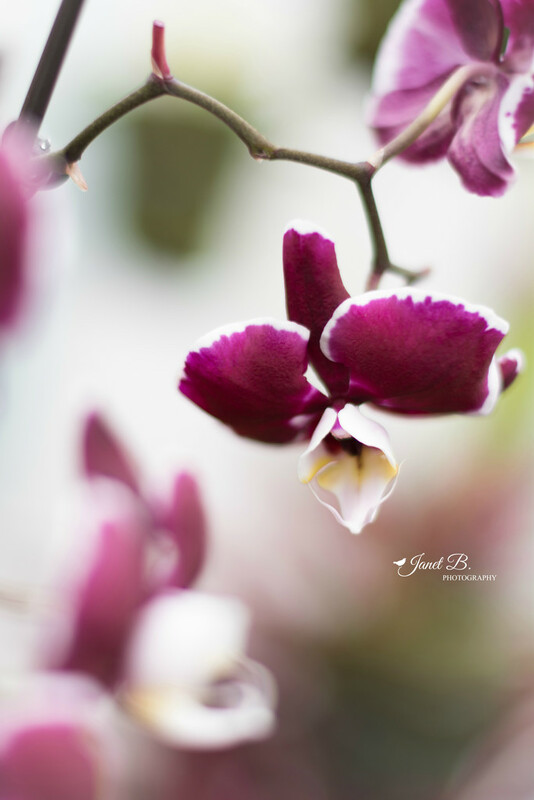 Our assignment to photograph orchids paying particular attention to our focus point while using the widest aperture available to create a very shallow depth of field proved to be a challenge without a tripod! I like this one best on the black background. Isn't it fun to share something you all enjoy? Beautiful shot.